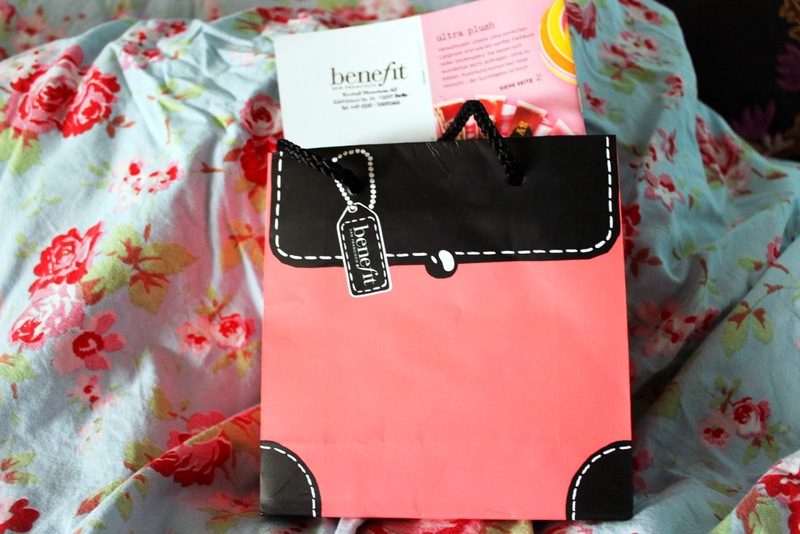 oh look at that cute little bag, looking so innocent. i don’t know why that happened but me and saving money is something thats just not working out. i kinda accidently went to my local benefit counter and this happened. 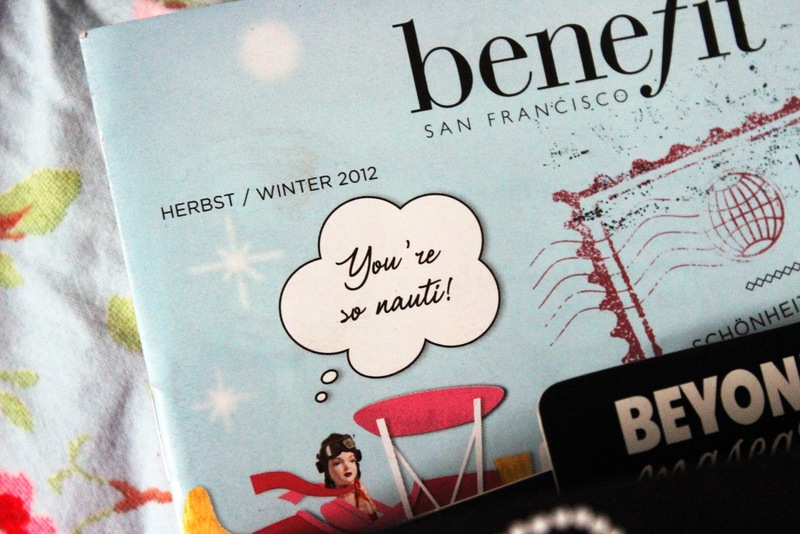 eventhough i still feel a little guilty, since benefit is not that cheap, but the products are awesome anyway. so i’m using them just for a few days so its not a real review more what to expect or a first impression. i heard alot of bloggers raving about this mascara. 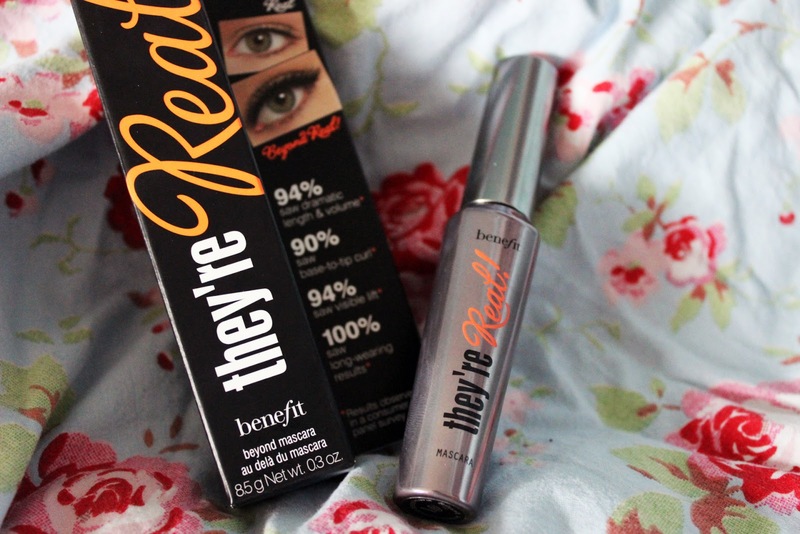 i think the “they’re real!” mascara is fairly new in their stocking and i always wanted to try this one out not only because everyone seems to love it, i really enjoy trying out new mascaras cause i would probably not leave the house without mascara on my lashes. the brush itself has a really unique design. is fairly long with the spikey bits all around and even all around the top like a little spikey ball which allows so grap every single lash and even helps to define even the bottom lashes. it says the brush is specially designed to reveal lashes one never knew that they had. and really, it makes my lashes incredibly long and makes them look really,really good. so far,i love it cause it gives what it promisses but i have to try it out a little longer to say if it is as good as my helena rubenstein one. finding good concealer which covers and brighten up the way i want them to is always a hard job for me. 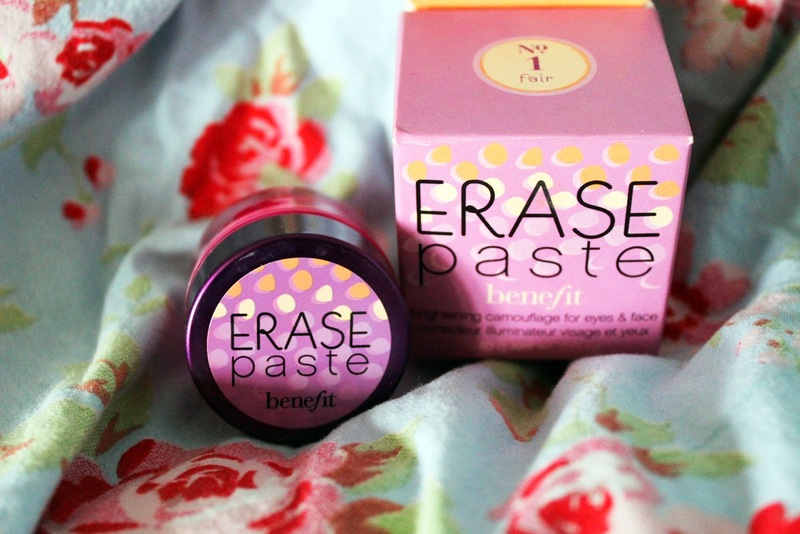 i thought about getting the erase paste for a really long time now and i finally picked it up. number one “fair” is the one i choose. its the lightest one out of three. it comes with a little “how to” booklet which i find really helpfull. it tells very detailded, but easy, where to put the paste to get the best out of it and trust me guys, it works like heaven. no under eye circles, no visible spots and a bright, glowy face. i love it so much.